Nikon has announced two lenses for its 1 system mirrorless cameras, in the shape of a 70-300mm ultra-telephoto zoom and a compact 10-30mm powerzoom. The 1 Nikkor VR 70-300mm f/4.5-5.6 is designed for sports and wildlife shooting, and features optical image stabilisation to counteract camera shake; its SRP is $999.95 / £879.99. Meanwhile the 1 Nikkor VR 10-30mm f/3.5-5.6 PD-Zoom is a compact lens with electronic zoom control that will come in a kit with the 1 V3 camera, or be sold separately with an SRP of $299.95 / £249.99. Nikon UK has announced a summer cashback offer on its 1 system cameras. From 30th May to 4th September, buyers can claim back £50 on the S1 and J3 models, and £80 on the V2 (or €60 and €80 respectively for customers in Eire). The offer applies to both body-only purchases and single- and twin-lens kits, and all colours of camera; cashback has to be claimed by 4th October 2013. Click through for full details. 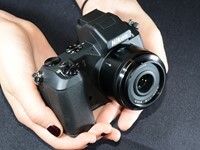 CES 2013: Nikon has launched two additional camera and two lenses to the Nikon 1 mirrorless system. The 10MP 1 S1 and 14MP 1 J3 are two small mirrorless camera both featuring hybrid-AF. The 1 J3 looks a lot like the previous 1 Js but sees the mode dial moved to the camera's top plate. 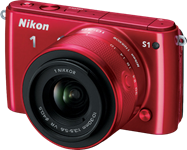 The S1, meanwhile is a smaller, less expensive model aimed squarely at point-and-shoot users. In addition Nikon has announced the 1 Nikkor 6.7-13mm F3.5-5.6 VR 18-35mm equivalent wide-angle zoom and a retractable superzoom lens, the 1 Nikkor 10-100mm F4-5.6 VR. We've just posted a gallery of real-world samples from the new Nikon 1 V2, with its bundled kit zoom, the 1 NIKKOR VR 10-30mm f/3.5-5.6. The V2 is a significantly different camera from its predecessor, offering much more enthusiast-friendly ergonomics and a new 14MP sensor, among other refinements. As well as 25 JPEG images we've also included four Raw conversions, to give a better idea of the camera's potential. Click through for a link to the full gallery. Nikon has announced two digiscoping accessories for its 1 System cameras, allowing them to be used to take pictures through telescopes. The DSA-N1 can be used to connect a Nikon 1 system camera directly to a telescope eyepiece. Meanwhile the DSB-N1 is a bracket that holds the camera behind the telescope, and includes a mechanical cable release adapter. Both will be available in December, with RRPs of £219.99 and £169.99 for the DSA-N1 and DSB-N1 respectively. We had a chance to get our hands on Nikon's latest 1 Series mirrorless camera - the 1 V2. It gains a 14MP sensor, built-in flash and more conventional control points than its predecessor. Here we give our first impressions of Nikon's smallest 'serious' interchangeable lens camera. 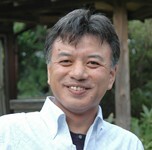 Nikon has announced that it is developing three additional lenses for its 1 System mirrorless cameras. The 32mm f/1.2 will offer a classic short telephoto 'portrait' option, equivalent to an 86mm lens on the 35mm full frame format. The 6.7-13mm f/3.5-5.6 VR is an image-stabilized, 18-35mm-equivalent wideangle zoom. Finally the 10-100mm f/4-5.6 superzoom will offer a similar 27-270mm-equivalent range to Nikon's existing 1 System powerzoom, but in a smaller package with a mechanical zoom ring. Full specifications, price and release date are yet to be revealed. 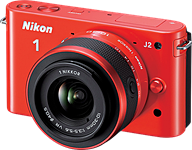 Nikon has launched the 1 V2 - a more enthusiast-focused 1-series camera built around a 14MP sensor. The V2 adds a built-in flash and mode dial and more extensive front grip. It can shoot at up to 15 frames per second in combination with its hybrid AF system. It also has a configurable 'F' button to give faster access to key camera settings. The V2 uses a processor that lives up to the latest Expeed 3A billing. It also retains the V1's original list price of $899 with 10-30mm kit zoom. Nikon has also announced an accessory SB-N7 bounce-able Speedlight for the 1 System. 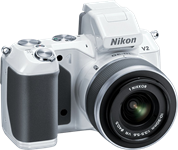 The V2 will be available from late November, with the SB-N7 following in January 2013. Nikon has released the J2, a slightly updated addition to its 1 System of mirrorless interchangeable lens cameras. The J2 is gently-reworked version of the more basic J1 model, gaining a higher-resolution rear screen. It also inherits a handful of feature modes from Nikon's Coolpix compacts on an additional position on its mode dial, and is now available in orange. Probably the biggest change is the price tag - its suggested selling price of $549 is $100 below the original launch price of the J1. In Europe the J2 will cost around €539 with the 10-30mm VR lens and €519 with the 11-27.5mm zoom. Alongside the 1 J2, Nikon has announced a waterproof housing and a more compact retractable zoom lens - the 1 Nikkor 11-27.5mm F3.5-5.6. The lens is something of an enigma - it's smaller than the existing 10-30mm kit zoom but, in the US at least, isn't being offered as a kit option. As a result, if you want a less rangy lens, without image stabilization, it'll set you back $189. Nikon US suggests it might appeal to people who bought a kit with just the 10mm prime lens. The WP-N1 underwater housing offers full access to the 1 J1 or 1 J2's buttons and dials, while providing protection to depths of 40m/130ft. It will be available in early September for around $749. Nikon has released firmware updates for its 1 System cameras, addressing some of the drawbacks highlighted in our review. 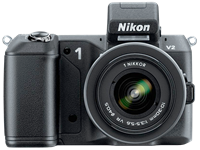 The v1.2 firmware updates for the Nikon 1 V1 and 1 J1 correct a series of minor operational issues but also change the program line in most shooting modes so that faster shutter speeds will be chosen. It was these cameras' tendency to use extremely slow shutter speeds that made us conclude they could be disappointing for beginners, despite the very promising underlying engineering. The firmware is available immediately for download. At this year’s International CES show in Las Vegas, we spoke to Tetsuya Yamamoto, General Manager of Nikon’s Development Headquarters within its Imaging Division. In a broad-ranging interview we discussed the market’s reaction to the 1 J1 and V1, and how the system might evolve in the future. Nikon's entry into the mirrorless interchangeable lens market late last year was widely anticipated, but the products that were finally announced took a lot of people by surprise. Nikon has created an entirely new system based around a relatively small sensor, that's about 30% of the size of those used in the company's DX-format SLRs. The system is spearheaded by two cameras - the Nikon 1 J1 and 1 V1. The J1 is the entry-level model, and the V1 is aimed at a slightly more advanced user, but both cameras are intended essentially for beginners upgrading from compact cameras or cameraphones, and who find the size and complexity of a DSLR intimidating. Promising the convenience of a compact combined with the quality and versatility of an SLR, the new breed of 'mirrorless' compact system cameras have been gaining in popularity since the the first Micro Four Thirds model in 2008. Use this primer to find out if a mirrorless camera is right for you. Nikon has released firmware updates for its Nikkor 1 10-30mm f/3.5-5.6, 30-100mm f/3.8-5.6 and 10-100mm f/4.5-5.6 lenses. The 10-30mm and 30-100mm lenses are upgraded to firmware v1.02, which corrects a bug which causes an incorrect aperture value to be recorded. Meanwhile the 10-100mm power zoom firmware moves to v1.01 that, like the 1.01 upgrades for the other two lenses, addresses a problem by which images could 'be blurred when shot immediately after the camera was shaken or moved quickly'. Nikon has announced version 2.2.8 of its Capture NX image editing software. The latest version resolves minor bugs and extends Raw support to the recently released Nikon 1 V1 and J1 mirrorless cameras, and the Coolpix P7100 enthusiasts' compact. We've published a gallery of 23 images shot with the Nikon J1. We've shot a selection of images using the Nikon J1 - the simpler of the company's two 'Nikon 1' cameras. Combined with the 1 Nikkor VR 10-30mm f/3.5-5.6 kit lens, we've taken a variety of real-world images in a variety of light conditions. Given all the controversy the J1 and V1 have generated, we thought it made sense to look at some of its images. We've also included 5 raw files for you to examine. Live report from the New York launch of the Nikon 1 system. Dpreview.com attended the unveiling of Nikon's new mirrorless camera system, which included the launch of the J1 and V1 cameras. We had a chance to handle the cameras and their associated accessories. Here are our images from the event, including mock-ups of possible future lenses. Nikon has announced the J1 small sensor mirrorless camera. The J1 is the more compact, less expensive model in the line up and, like the V1, features Hybrid autofocus (combining phase detection and contrast detection AF) that allows the camera to shoot at up to 10 frames-per-second with autofocus. The J1 has only an electronic shutter, limiting sync speed to 1/60th of a second but allowing shutter speeds of up to 1/16000th of a second. It's built around a 1" type (13.2mm x 8.8mm) 10MP CMOS sensor, giving a 2.7x crop, which Nikon is calling 'CX' format. Like the V1, it can shoot 1080i60 video. The J1 kit with 10-30mm (27-81mm equiv.) lens will be $649.95. Again, the J1 is expected to arrive in the US around October 20th. Nikon has announced the V1 enthusiast small sensor mirrorless camera. Built around what the company is calling a 'CX' format 10MP CMOS sensors, the cameras is part of the company's new Nikon 1 line. The V1 is intended as the higher-end model in the lineup and features magnesium alloy construction and a 1.4M dot electronic viewfinder. It also has an accessory port allowing the connection of the SB-N5 mini speedlight or GP-N100 GPS unit. Unlike the J1, it can switch between mechanical and electronic shutter. In common with the J1, in can shoot 1080i60 or 1080p30 video and combines phase detection and contrast detection autofocus, in movie shooting or 10fps continuous bursts. The 1" type sensor (13.2mm x 8.8mm) gives a 2.7x crop. The V1 kit with 10-30mm (27-81mm equiv.) 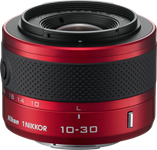 lens will be $899.95 and will be available around October 20th. An adapter allowing the use of Nikon F-mount lenses will follow.